Most of the textiles we have in our shop were found in Central Asia. Lots of those are old pieces, and some are from the 19th century. What is fun about shopping for textiles is the people you meet. 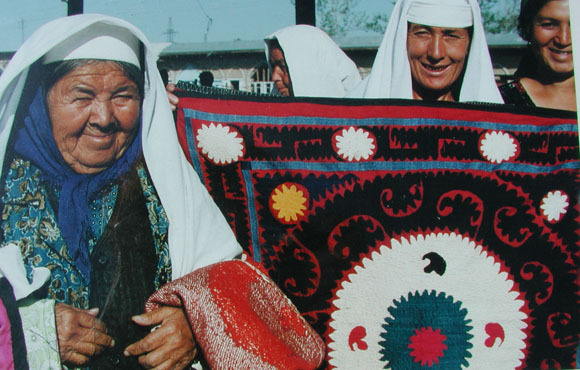 These ladies were some of our favorites from the Urgut market in Uzbekistan.